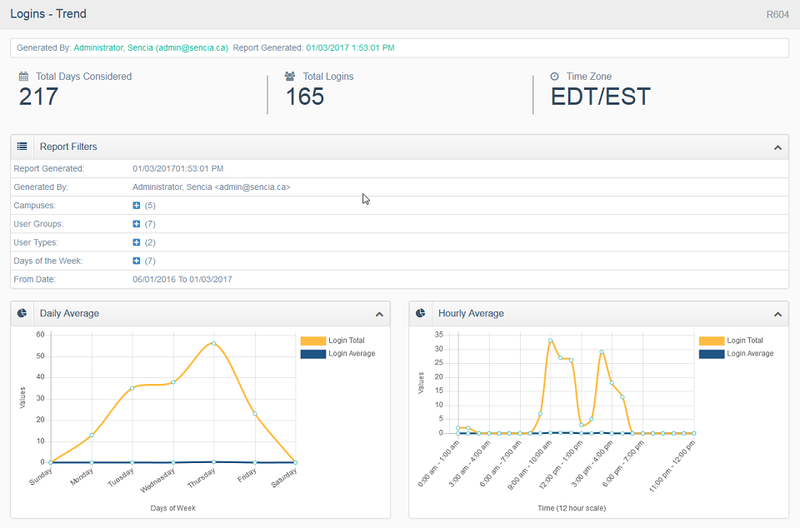 We are excited to announce a new report, R604 Logins - Trends. It's perfect for clients who would like to know the peak and off-peak times of user traffic on their system. The responsive, mobile-friendly report provides the total and average number of LMS logins within a defined date range. R604 also graphs daily and hourly averages. This report can be made available for you to review on preview sites on January 13, 2017. R604 will be live on January 25, 2017 when it will be viewable by enabled account types who have access to the report. If you would like R604 enabled, please enter a SRS ticket to request the report.